The memory of war will stay with a man longer than anything else. Dawn, mist clearing over the rice fields, a burning Vietnamese village, and a young war photographer gets the shot that might make his career. The image, of a staring soldier in the midst of mayhem, will become one of the great photographs of the war. But what he has seen in that village is more than he can bear, and he flees. Jonathan drifts on to Japan, to lose himself in the vastness of Tokyo, where there are different kinds of pictures to be taken: peacetime pictures of crowds and subways and cherry blossom. And pictures of a girl with whom he is no longer lost: innumerable pictures of Kumiko, on the streets and in the rain and in the heat of the summer. Yet even here in this alien city, his history will catch up with him: that photograph and his responsibility in taking it; his responsibility as a witness to war, and as a witness to other events buried far deeper in his past. 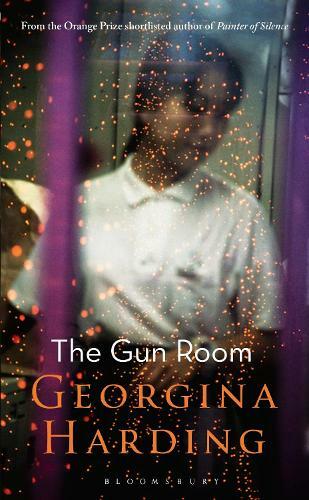 The Gun Room is a powerful exploration of image and memory, and of the moral complexity and emotional consequences of the experience of war.